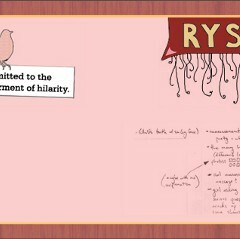 Committed to the betterment of hilarity. What the hell is The Ryler Society? Back in 2005, the The World Wildlife Federation sent me a bunch of free stationery with my name on it. From-the-desk-of notepads, address labels, the whole shebang.